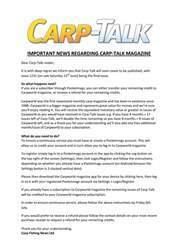 This week’s issue of Carp-Talk (issue 1067) is available to download now. 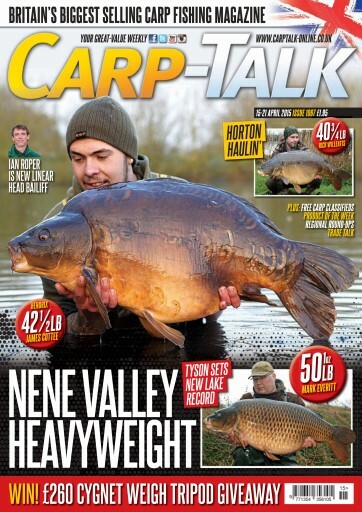 Mark Everitt celebrates a new personal best and lake record with the capture of a fifty pound common from a Nene Valley pit. Ross Ryder tames one of Wraysbury’s finest residents, a resplendent mirror known as Mike’s Pet weighing 45lb 1oz, and James Cottee enjoys his finest hour on Cleverley Mere banking one of the venue’s most sought after residents, Hendrix, weighing 42½lb. 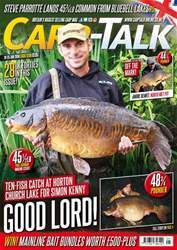 DNA Baits boss Steve Carrie concentrates on bait preparation with the onset of another busy season. Korda’s Elliot Gray grills Dave Levy about maggot fishing and Steve Briggs turns his attention to Spain’s formidable River Ebro. 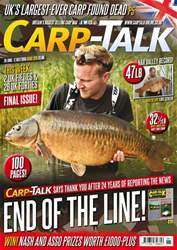 Get in the mind of Jake Wildbore with this week’s carp angling A-Z, products from ESP, Nash, Kiana Carp, Free Spirit and Bespoke Baits go under the spotlight in ‘Trade Talk’, and there are Cygnet Tackle products up for grabs to the value of £260.